Totem 21.5 inch Upright Arcade Game Machine With 520 Game (Share Happy Time With Family and Friends Nothing compares to the Totem Upright Cocktail With Retro games, provides authentic sound, graphics and action transporting you back in time, just like you remember it from your local arcade. The graphics look nice on the large LCD moniter and 2 Joysticks let 2 players enjoy games at the same time make the player feel like they are part of the game. 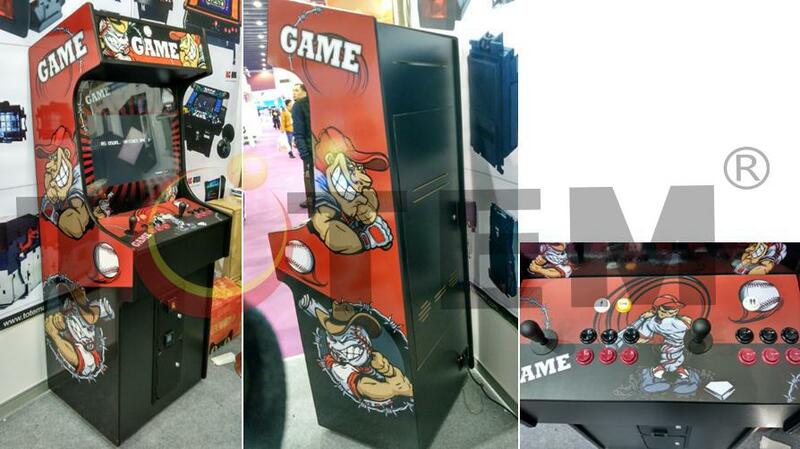 Re-live all these 80’s game in one cabinet: Pac-Man, Ms Pacman, Galaga, Galaxian, Donkey Kong, Space Invaders DX, Marvel VS Capcom, Frogger, Street Fighter, Metal Slug, 1942, 1943 etc Dimensions: W24.17 x D25.67 x H65 ) collected in Totem - Chris by Chris Wu - Collected It!